Waterman pens is one of the oldest and most famous brands in the world. For over 120 years they have laboured a reputation due to their commitment with quality, innovation and design. 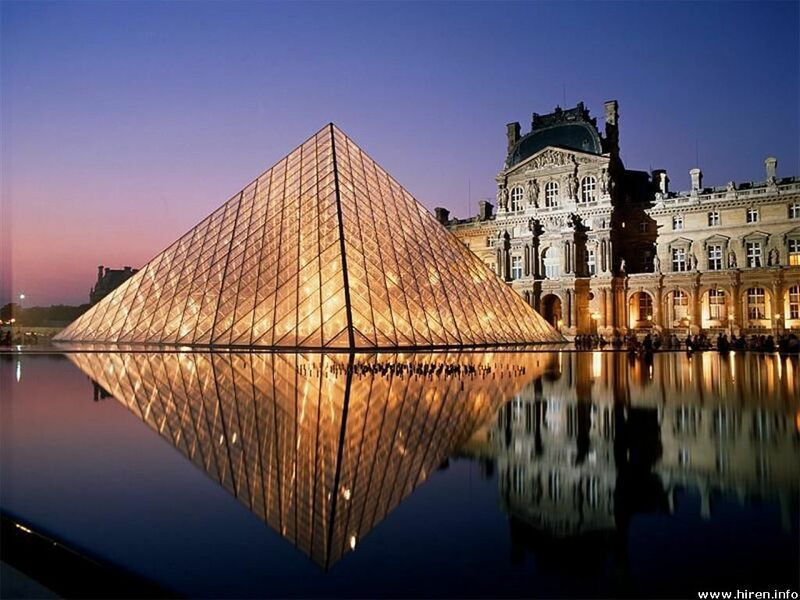 The Parisian brand is proud to be an international herald of French style and “finesse”. Among Waterman’s many models of pens, the Waterman Carene model stands out as one of the most popular and admired. Due to its beautiful simplicity, this pen has earned a place in many a pen lover collection! Its design is unquestionable: not excessive not plain. Just right! This is an example of how to make a beautiful pen with just the essentials. The Waterman Carene Silver Meridians Pen and the Waterman Carene Contemporary Metal Pen are two very nice designs. The latter is finished in a dark PVD and lacquer coating all along the barrel and cap. 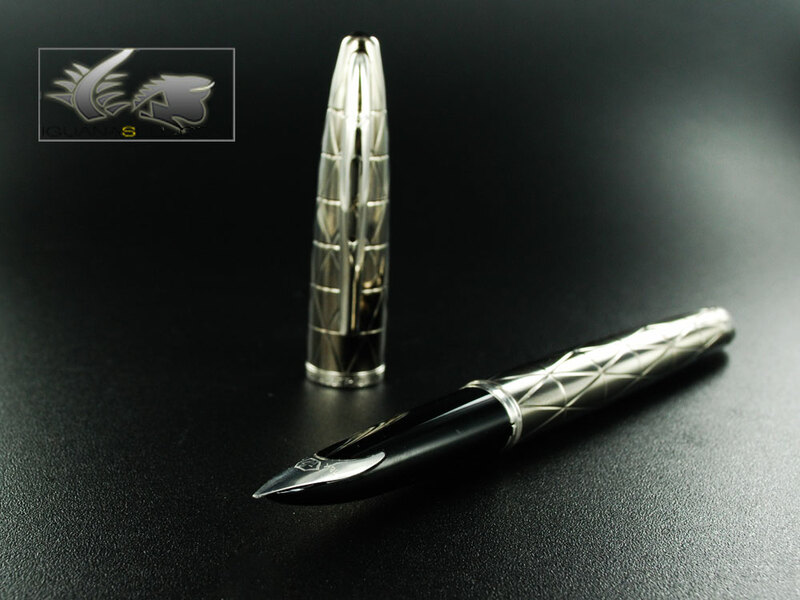 A delicate triangular pattern is engraved on the entire pen to give it a soft visual texture. 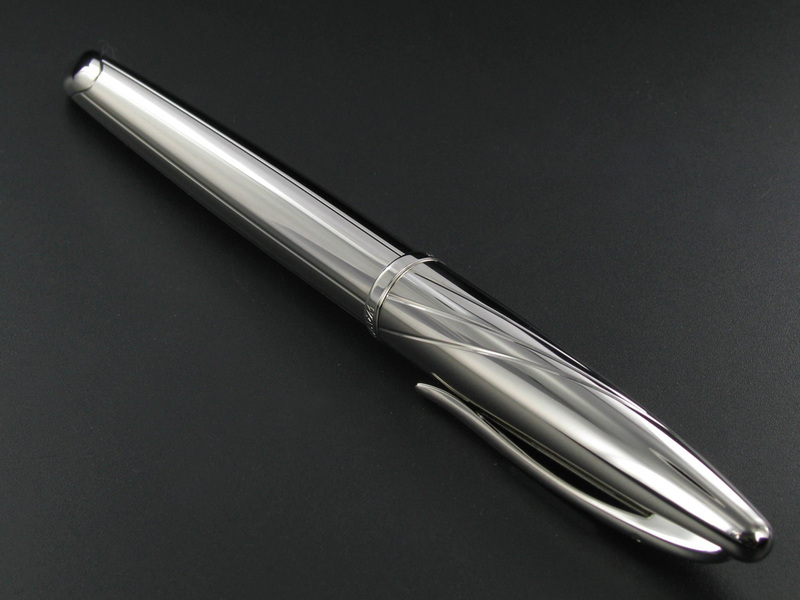 The Silver Meridians pen is completely silver plated except for the grip section. A few lines run along the barrel and cap to create a smooth and delicate sensation of movement, like quicksilver running gently along the pen. The curved shape of the Carene’s barrel and cap, as well as the innovative nib, adds on to this feeling of holding a dynamic and stylized pen. This exact nib is not found on other fountain pens, and gives the Carene model an even more exclusive character. This is a pen that has been designed and crafted as a whole, one piece of pure delight!